Tuesday: It was weird not having to get up to go for a run. But I will say that my calf muscles were so sore! It was nice to be able to mentally and physically take the day off. After I dropped the girls off at school (and the other 5-6 kids I take every morning), I headed to the Clarion Event Center to help them out with a to-go order. 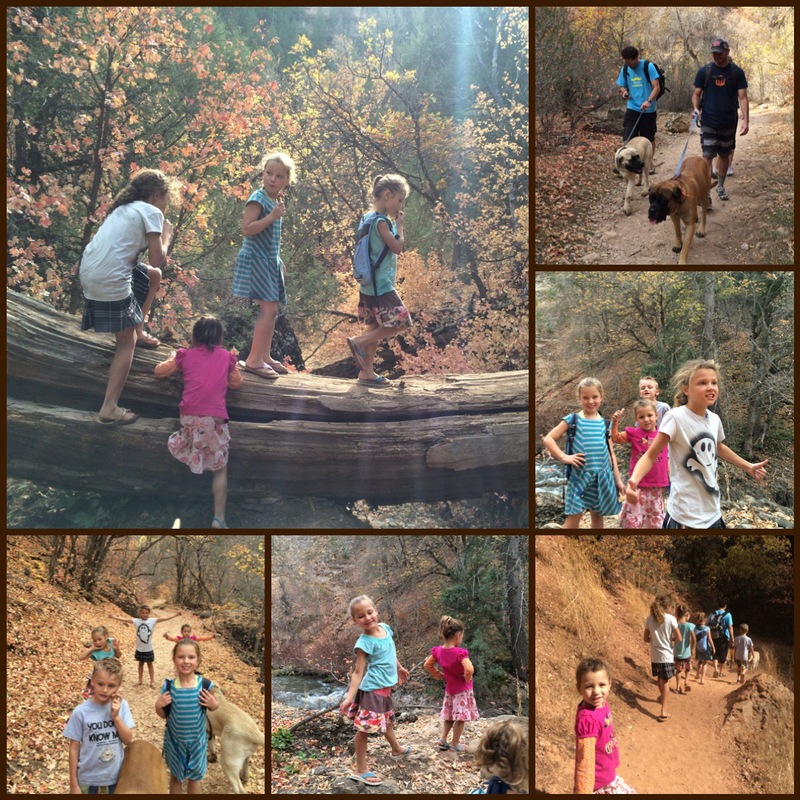 The girls and I went to cross country practice… The HS kids did a hill workout. They absolutely love this one. j/k… This one is tough. It’s Hazel Hill repeats with a pond sprint. While I was in Chicago, the team had Region. We took 3rd as a team in both the boys and girls. Our top female took 1st in region with a time of 17:50 in a 5k. Amazing! They all ran well and I was so sad to miss it. 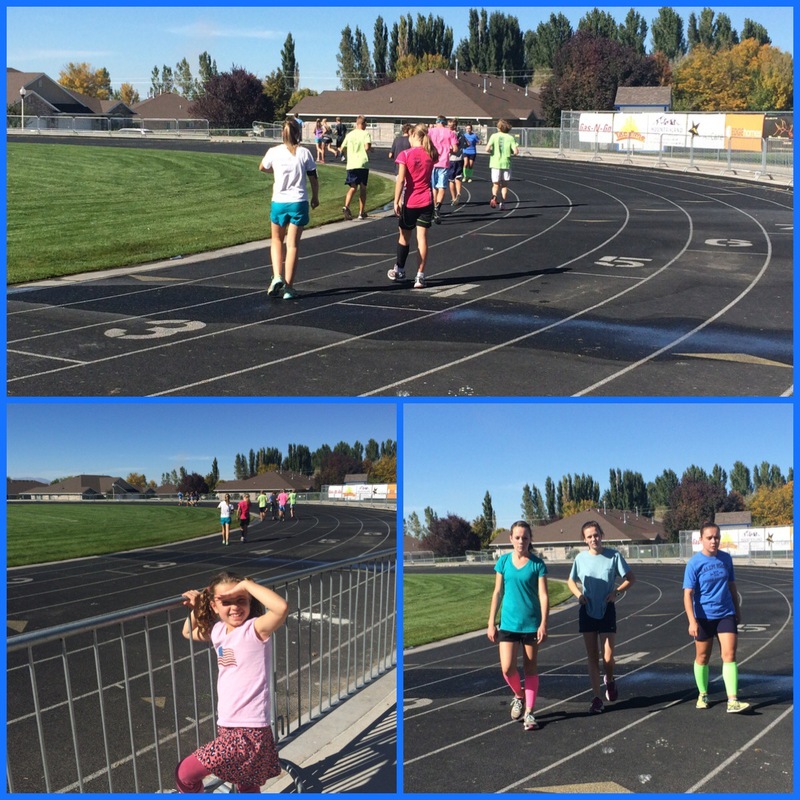 We are training for State now which is a week from Wednesday. 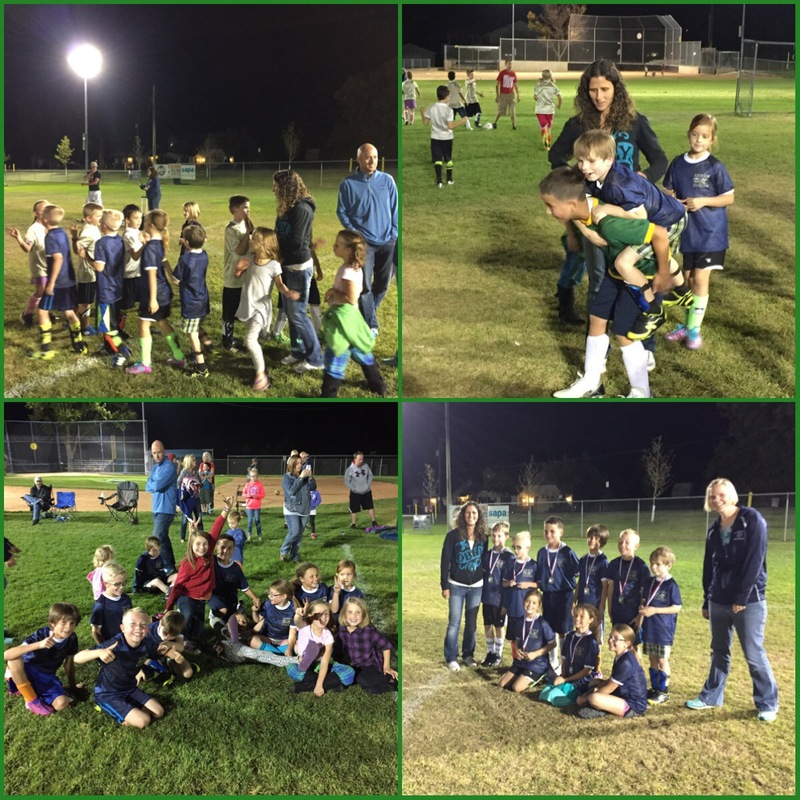 The 3 younger girls had their last soccer game tonight. 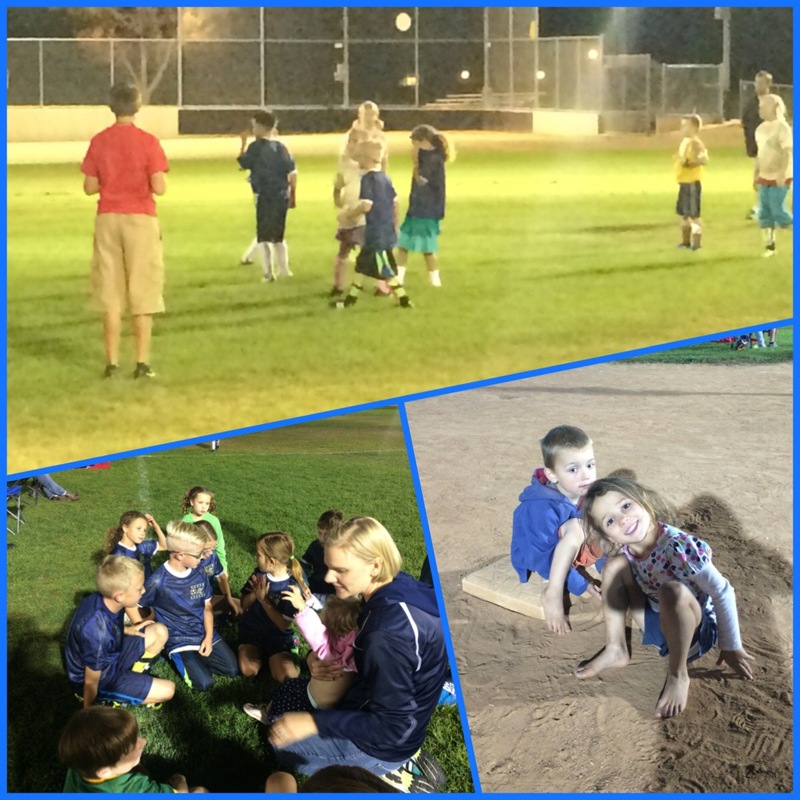 They have had a fun time playing and I have had a fun time coaching all their teams this year. They are getting pretty good! 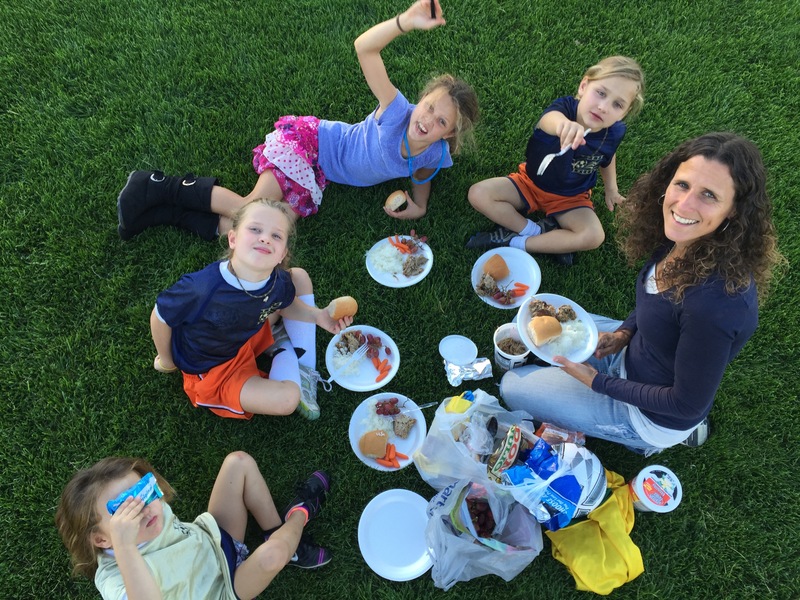 We did have a picnic dinner in-between their games. 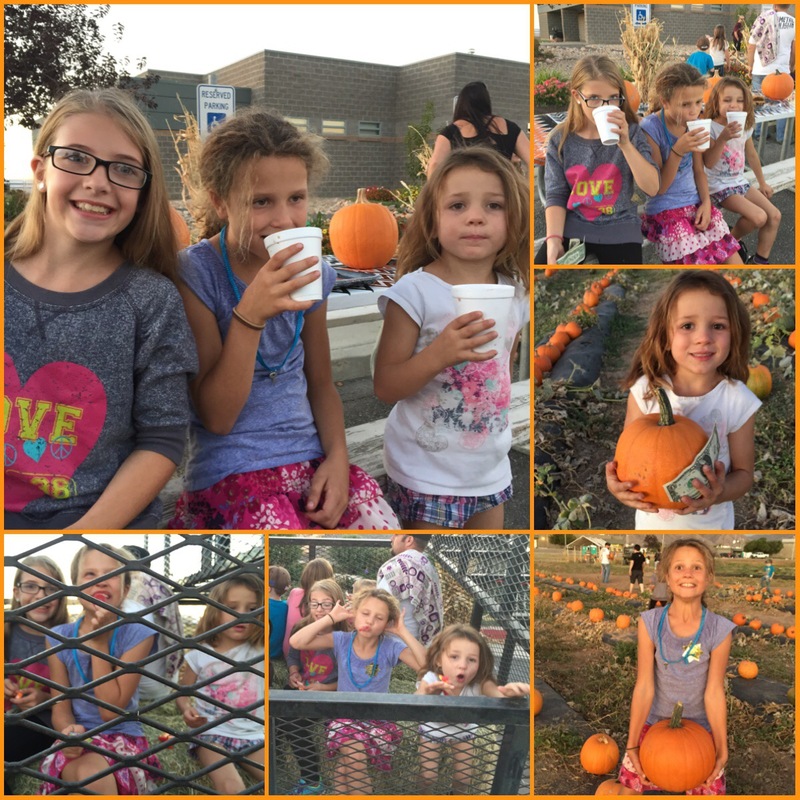 Corom took our youngest daughter and our oldest daughter (and her friend) to the jail’s pumpkin patch while I coached our 2 middle daughter’s game. Wednesday: Once again I was able to sleep in, kind of. I automatically wake up by 6 but this morning I just laid in bed. 😊 It was nice. 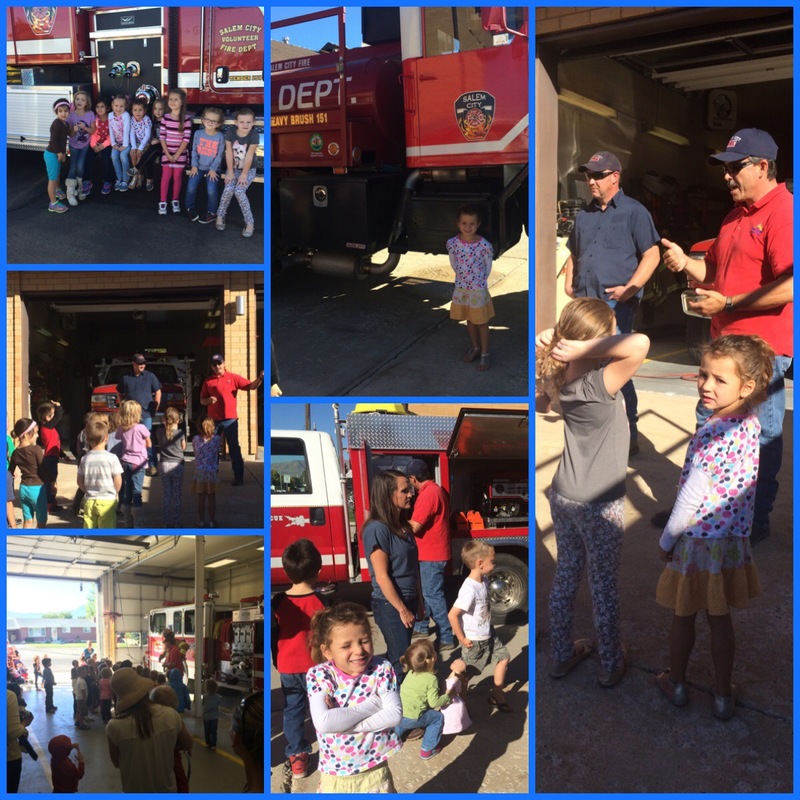 I did go on a field trip with my kindergartener to the fire station. The station is right next to the school so we all just walked there. She threw Corom under the bus many times. One comment she made was, “My dad lets me and my sister have a fire out in the field and we all get to play with the fire.” Thanks a lot! Way to get the firefighters to chastise Corom in front of everyone. It was pretty funny. 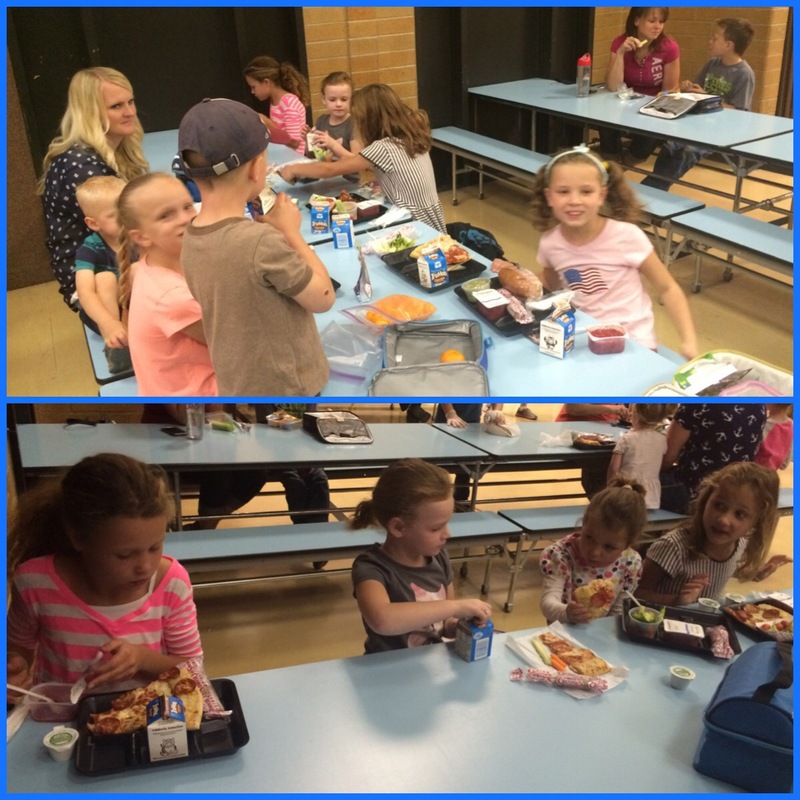 I had lunch with the girls today at school. It was parent lunch day. My 3rd daughter is a riot. 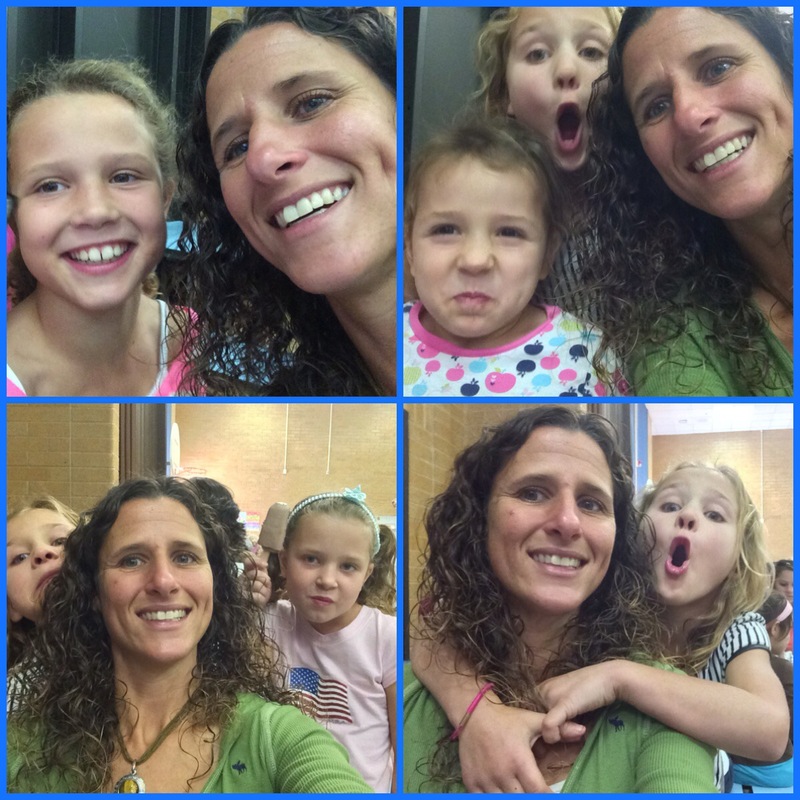 I didn’t realize that she got into most of the pictures at lunch… We had a fun time. 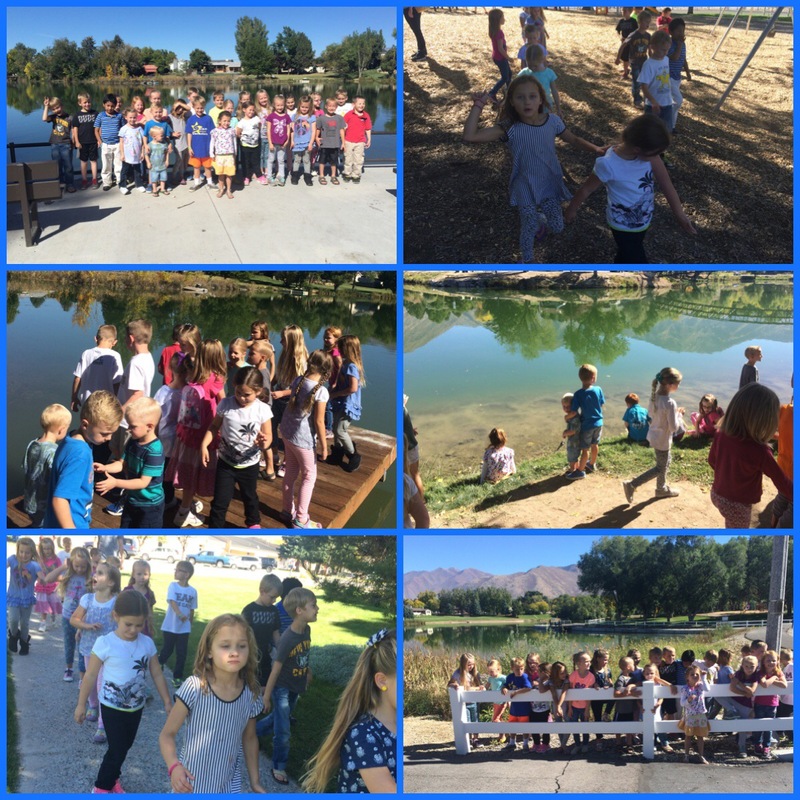 I ended up going on a field trip with my 3rd child (1st grader)… We walked to the park/pond and played there for awhile. 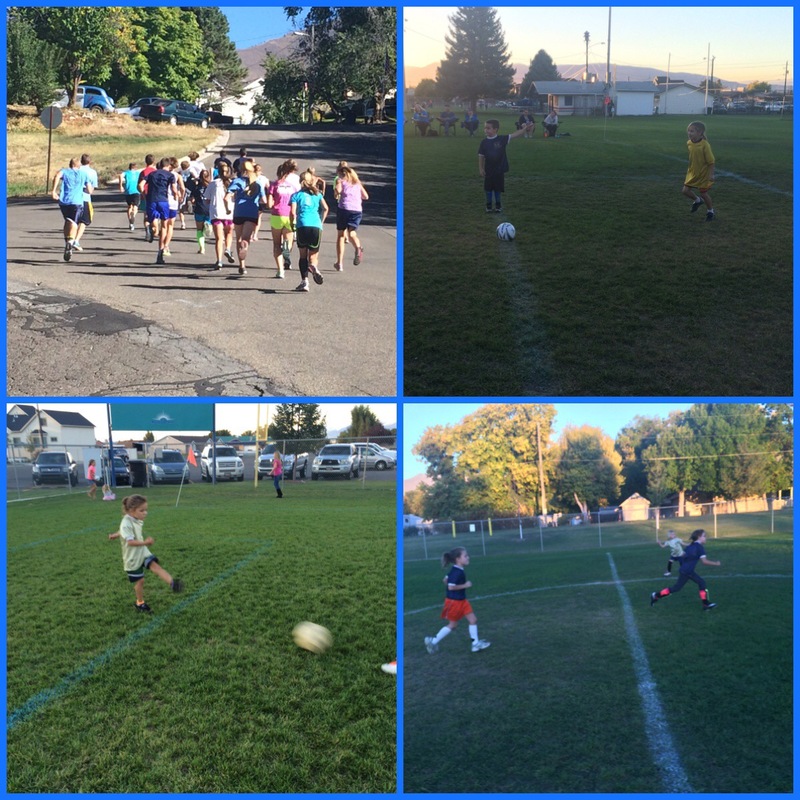 After dinner and homework, I ran to a quick church meeting with Corom then we all headed to my oldest’s soccer game. Her team is tied for 1st place, so tonight is the playoff game. The team played so well but we did lose. It was so much fun. 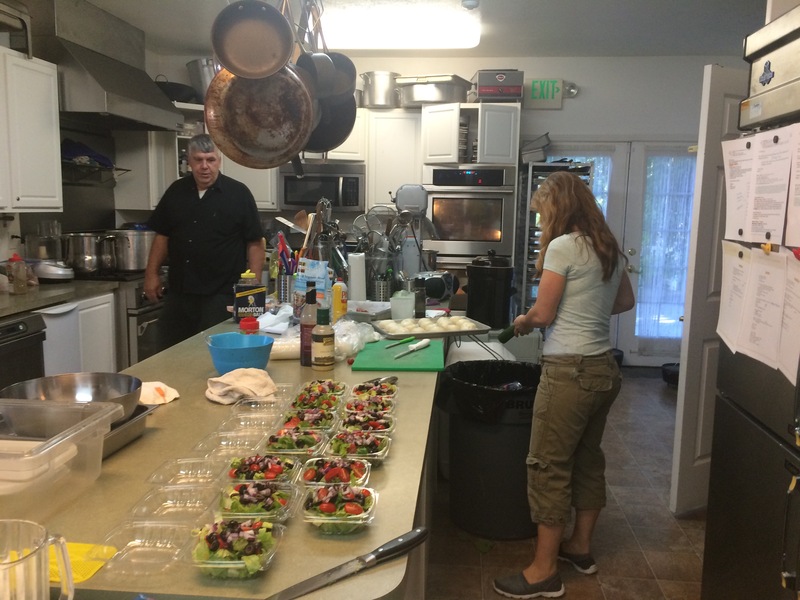 Marti Thompson and I team coached… We had so much fun doing it together. 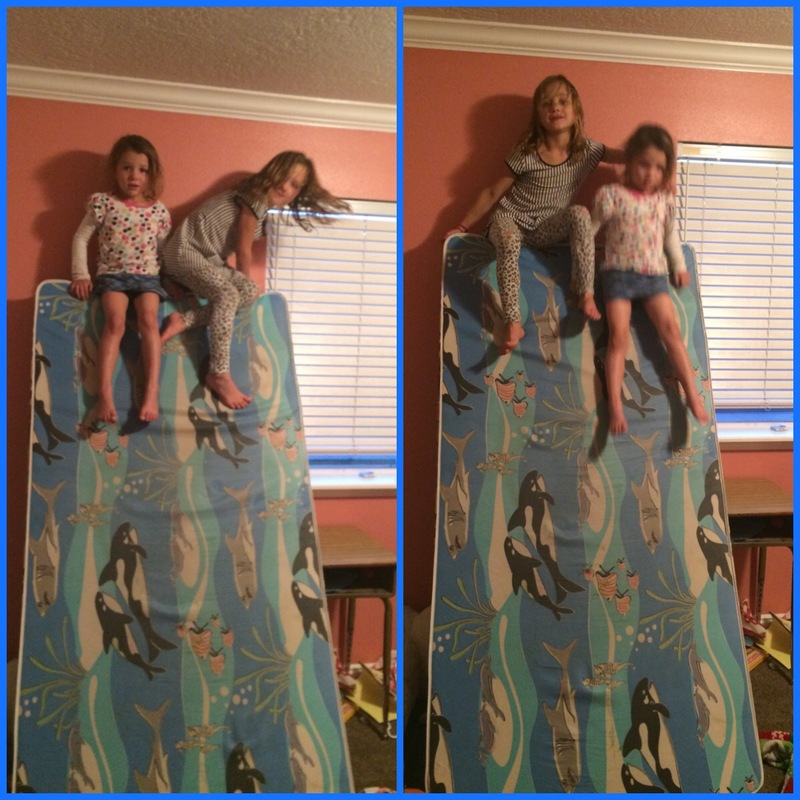 The girls found a new slide for their room. They are always finding ways to keep themselves entertained! Thursday: I went out for a easy 6 mike run today! My calves were so tight and sore… I stuck around a 8:15-8:30 min mile hoping to loosen up the muscles. I ran straight to CC practice (there is no school today and tomorrow because it’s Fall break or the deer hunt weekend). 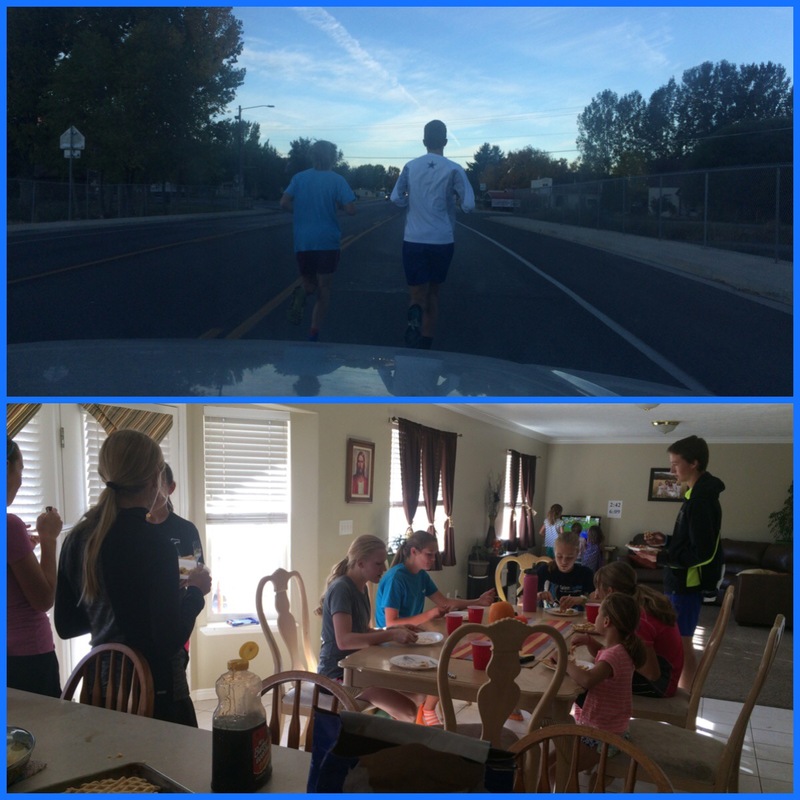 So practice was held this morning… After their run they came over to my house for waffles, eggs and potatoes. 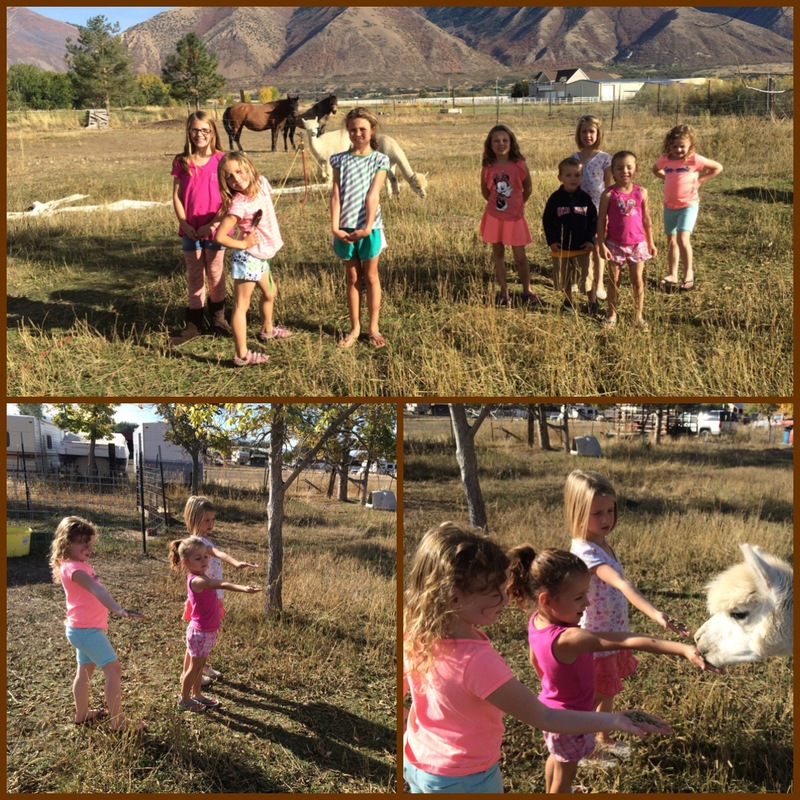 After attempting to get their chores done…The girls had friends over the rest of the day… They had fun taking care of the alpacas! 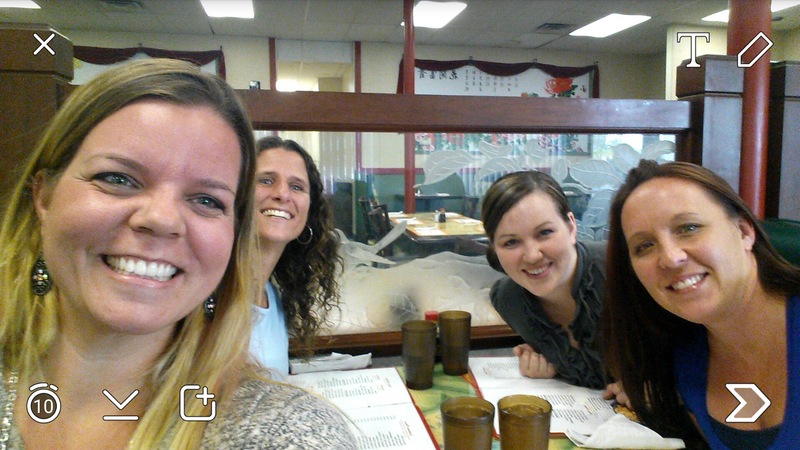 I was able to get away for the evening and went out with my friends Camille, Stephanie and Britney. We had so much fun. Dinner at a chineses restaurant and then went to the movie “Let It Go”. Such a good movie. It’s based on a true story of a dad who forgives a 17 year old who killed his wife, unborn child, son and daughter in a car accident. The 17 year old was driving drunk. A great movie and great company. Friday: I didn’t have to run today but I still had to get up early to go to CC practice. So worth it! 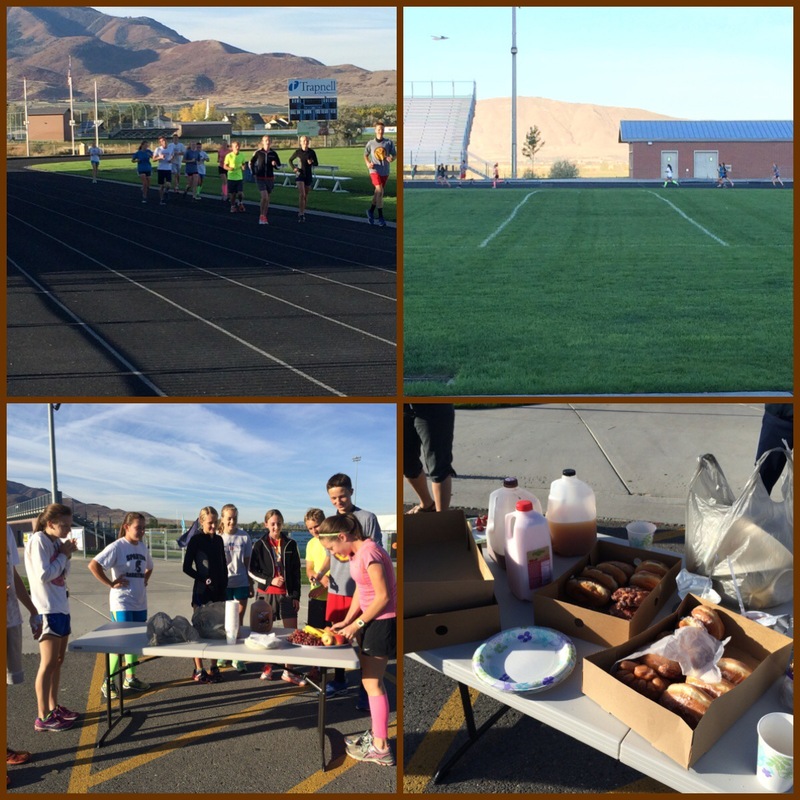 After their speed workout, one of the moms came by with fruit, donuts, bagels, juice, chocolate milk, etc. 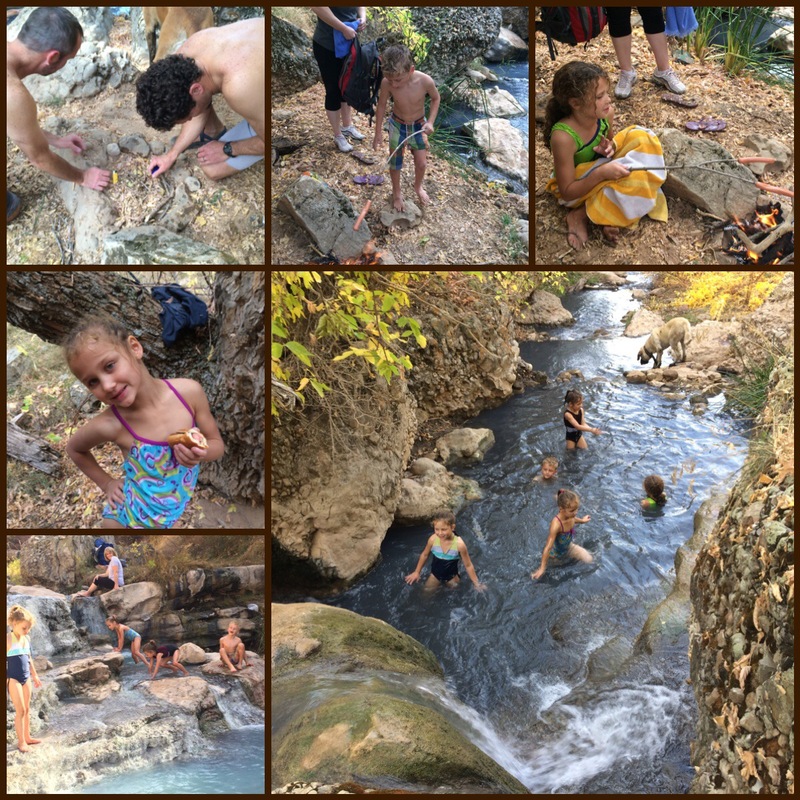 The Fullmers, Corom, the girls and I went hiking up Diamond Fork canyon to the Hot Springs… It was a little more than 2 miles to the springs. 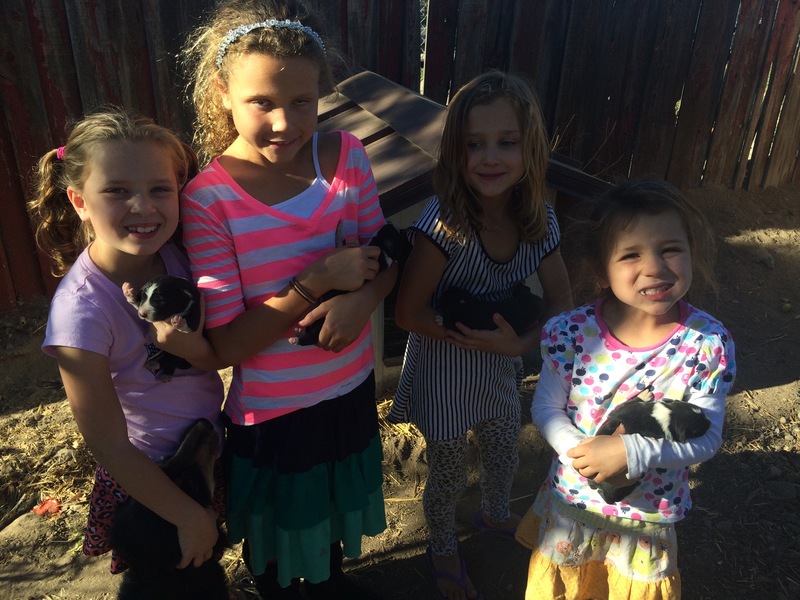 The girls and a little friend did amazing! It was beautiful out and the perfect weather. 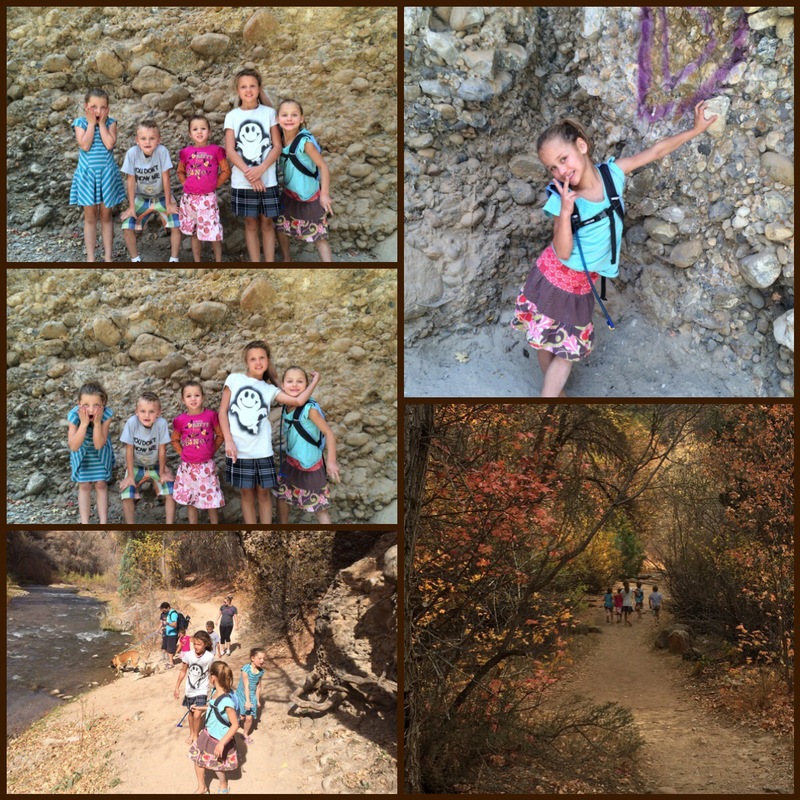 The girls hiked the entire way without us having to carry them up or down. The dogs did great, too. Time went by too quick. It was close to 4 when we headed back. 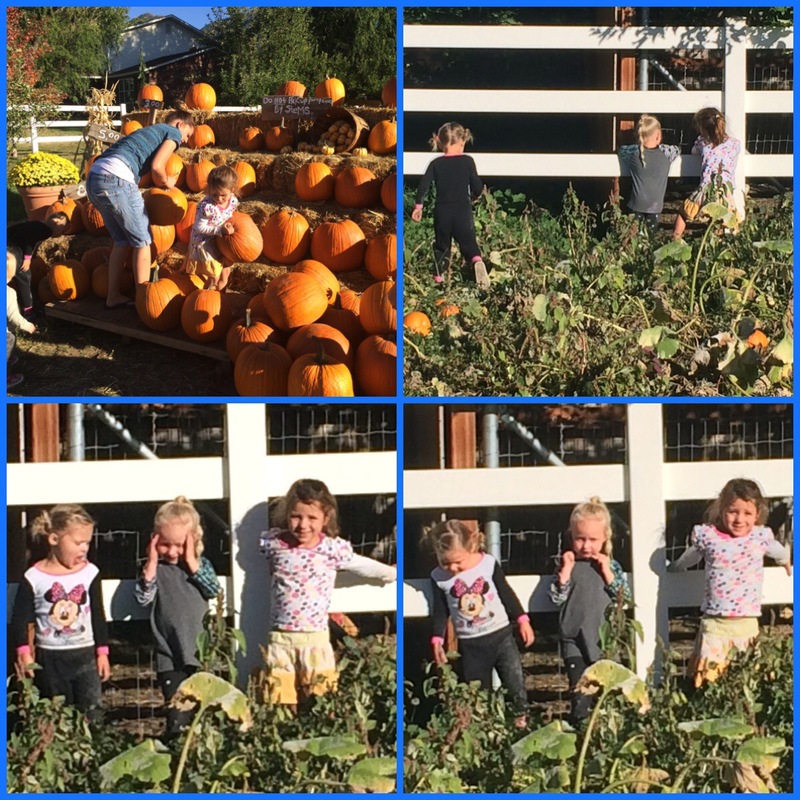 The girls are playing their turtle game at one of the homes… It is an awesome game and it keeps the girls calm and quiet. 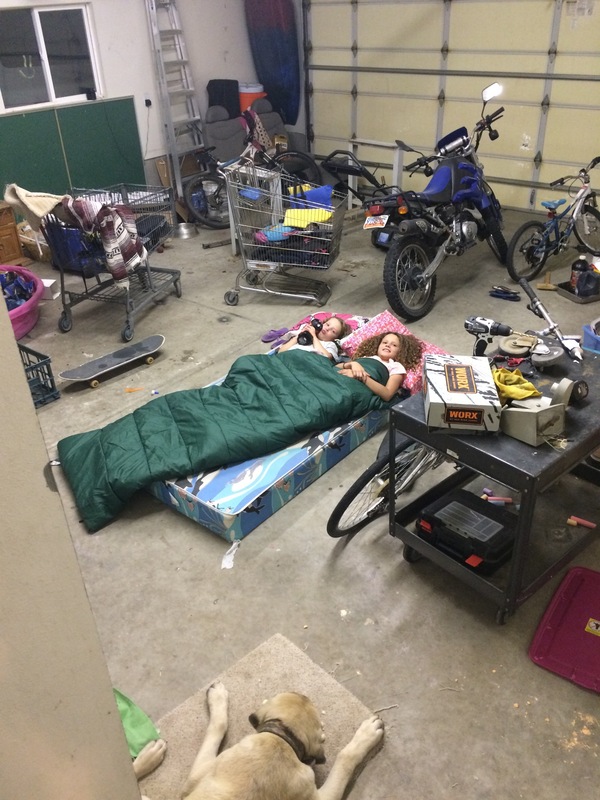 😉 The 2 older girls slept in the garage with the dogs. Saturday: I got up early to meet up with Amber for a 10.3 mile run in 1:20. It felt so good to run with someone! It was a nice run. 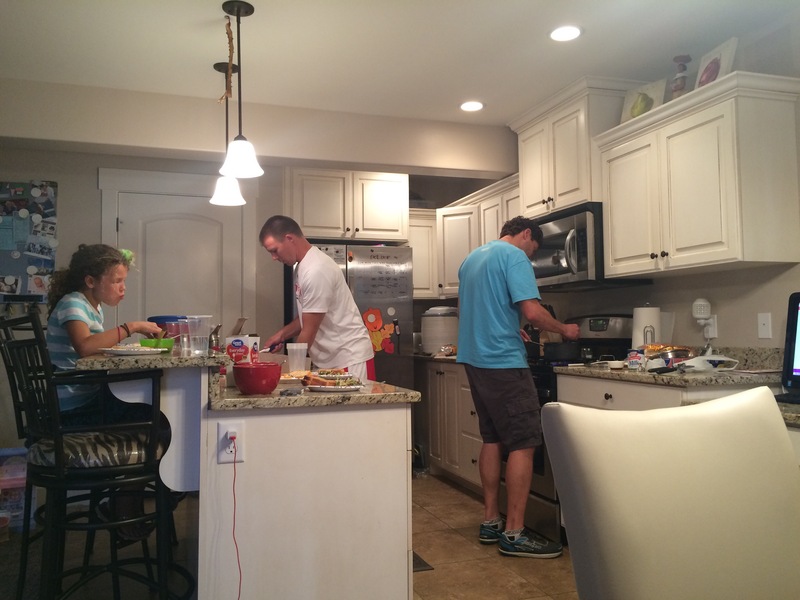 I came home to my oldest making us all breakfast. 😊 It was fruit with a yogurt/whipped cream blend. And then we all got right into cleaning. The girls did really well cleaning this morning! 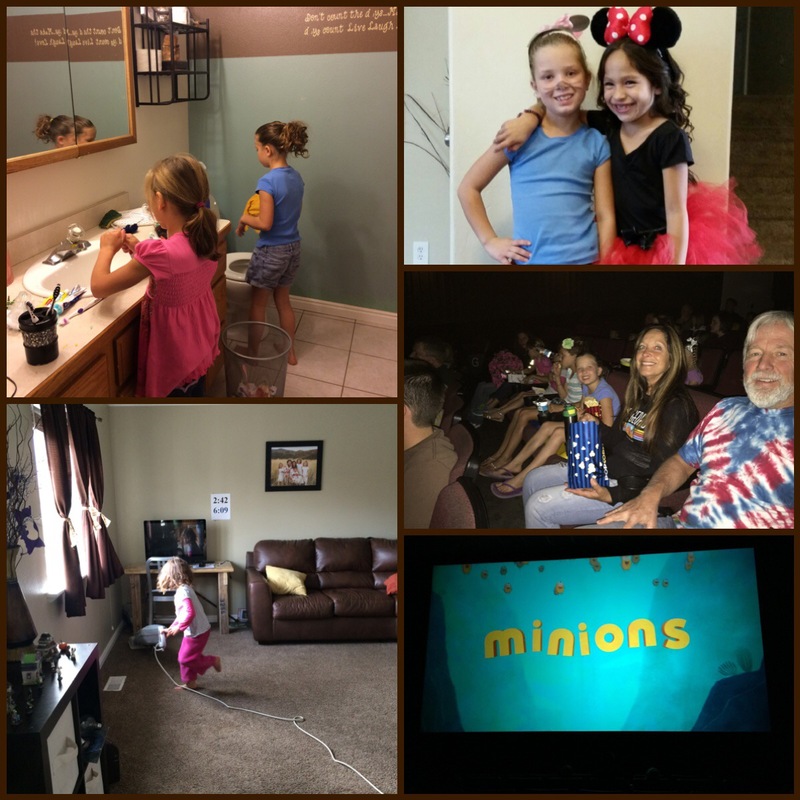 We did bribe them with a movie today. We went to the discounted movies for G-goats birthday (Corom’s mom). And then my 2nd daughter went to a birthday party. We went to the Barney’s for dinner. 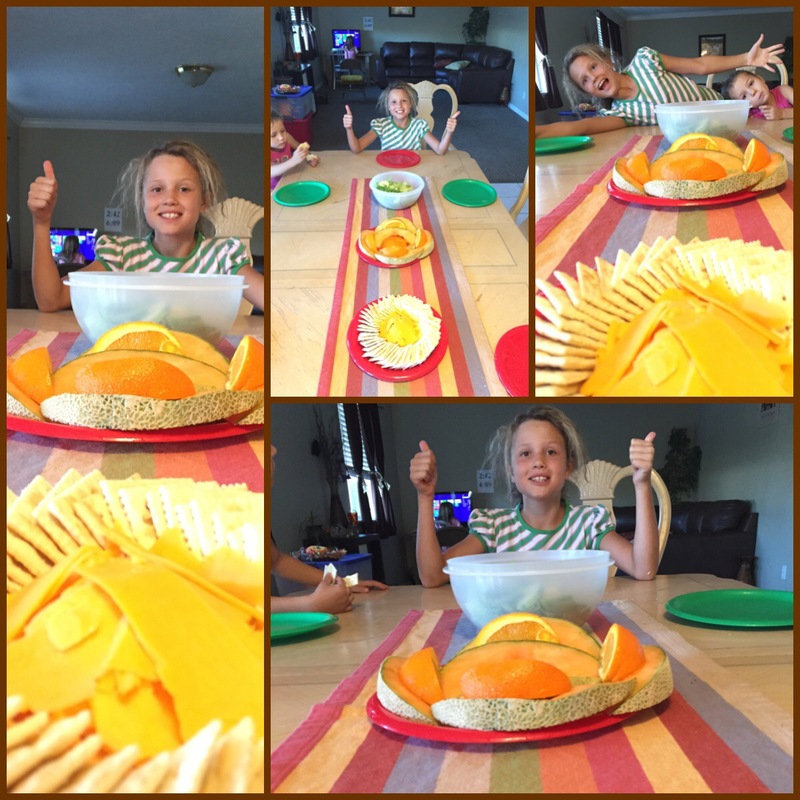 We had tomato basil soup… My favorite soup! 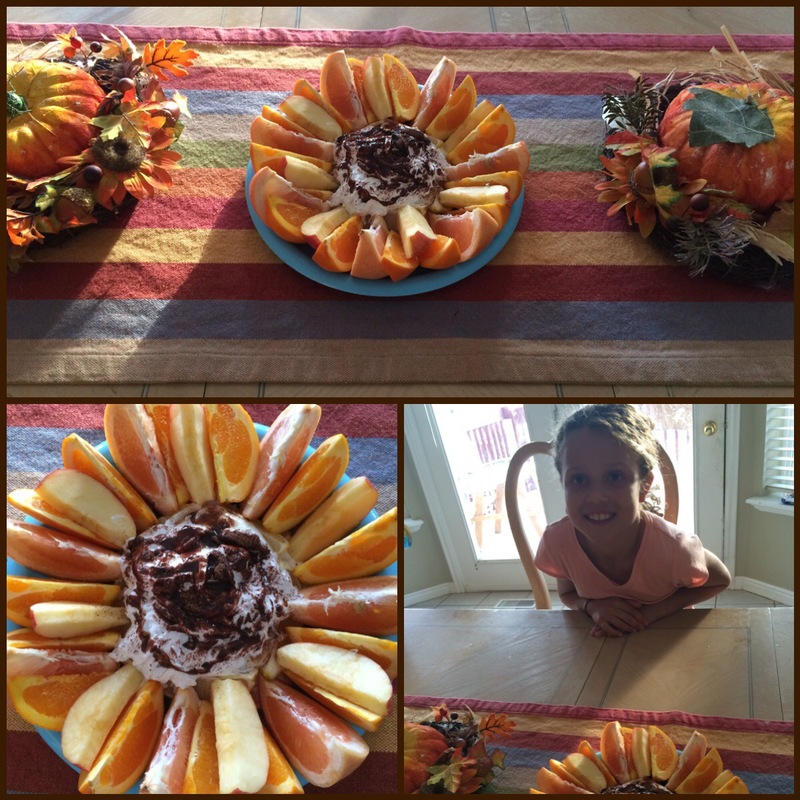 Loved it… Topped it off with apple crisp. Sunday: Everything went so smooth this morning! The girls and I were ready by 8 (church doesn’t start until 11) and Corom left for his meeting already. Dinner was cooking in the crock pot by 8:30 and the girls took out a board game to play. 😏 This was a strange morning. This never happens. I did say I would teach the Relief Society lesson today (my friend that prepared the lesson sent a text letting the presidency know that her daughter was sick and she couldn’t make it). I volunteered to teach, so the rest of the morning I prepared the lesson on “Beware of Pride”. https://www.lds.org/manual/teachings-of-presidents-of-the-church-ezra-taft-benson/chapter-18-beware-of-pride?lang=eng The girls were really good at church, the lesson went well- thanks to all the people that helped with the discussion. 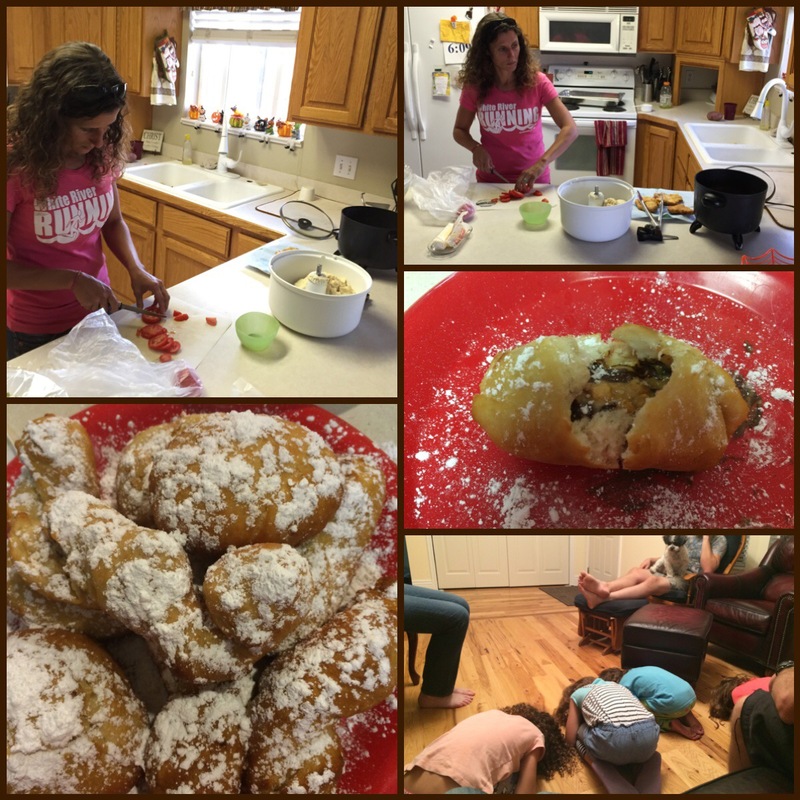 We had a few new families over for dinner and then Barbara, Megan, Amber and I went on RS visits. Corom and I finally sat down and watched a movie (The Saratov Approach). Good times! 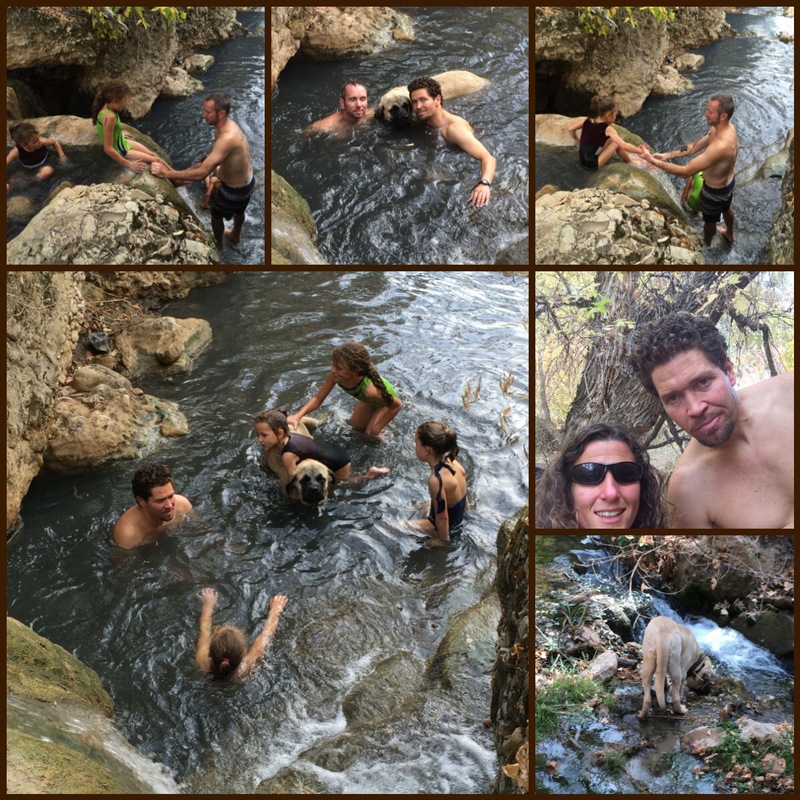 What an adventure of a weekend. I would have loved to see the firemen’s faces when your daughter was throwing Corom under the bus. I laughed out loud at that story. 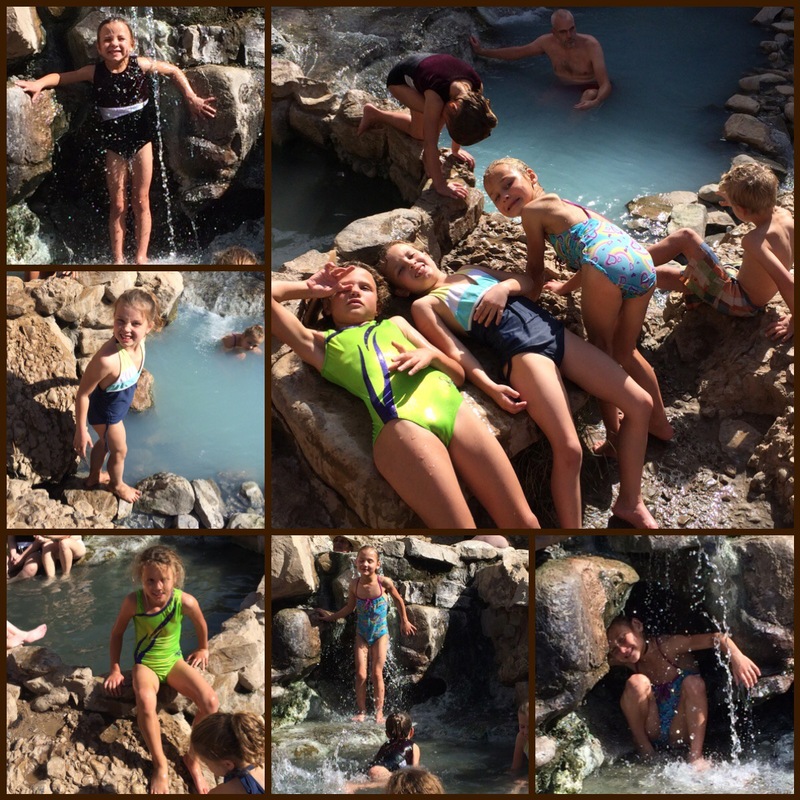 Rock and I were just talking about the hot springs out by you. They sound so awesome. 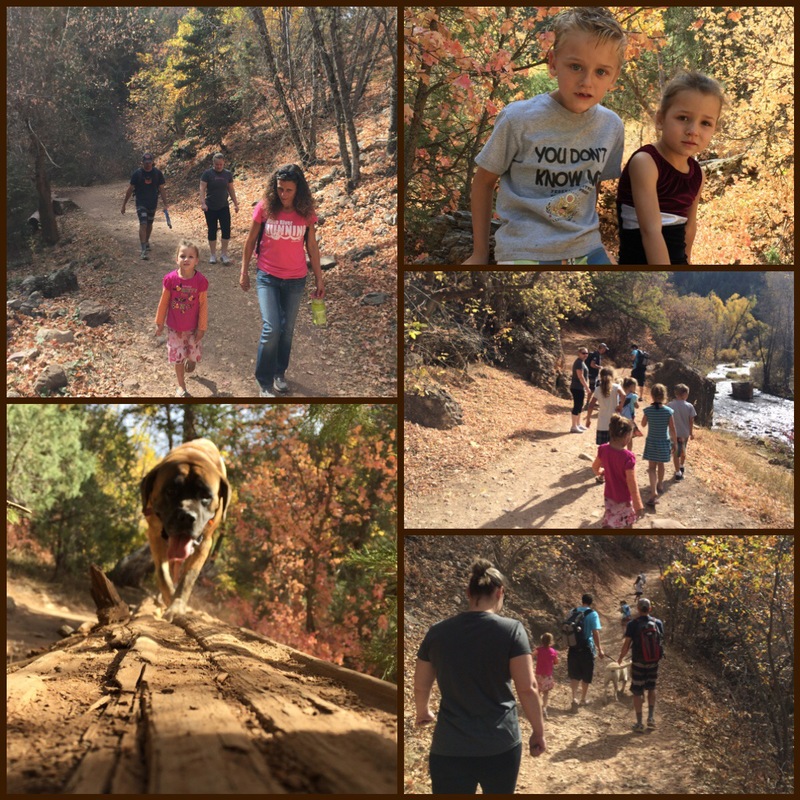 I love that you can hike there!